Helping kids – and communities – grow through a flexible and customizable curriculum designed for use in camps and other church and community settings. 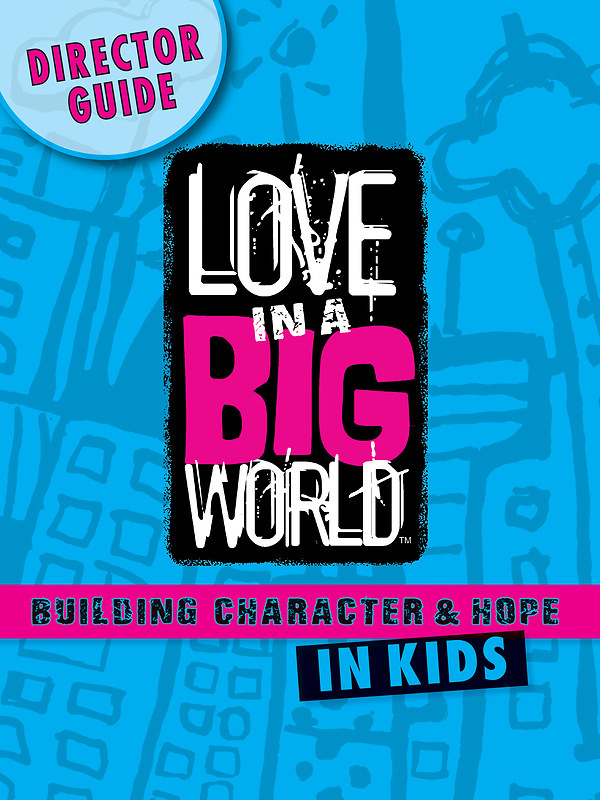 Love in a Big World: Building Character & Hope in Kids is a tool that builds conversations, relationships, and, ultimately, character -- helping prepare children to handle the challenges of life, while instructing them how to live with purpose. The Director Guide provides the aim of the curriculum, a variety of ways to organize a week-long, two-week, or ongoing weekly experience for kids. With schedules, task lists, worship plans and behind the scenes insights, every Director needs this book.